Looking for extra support for your bones? 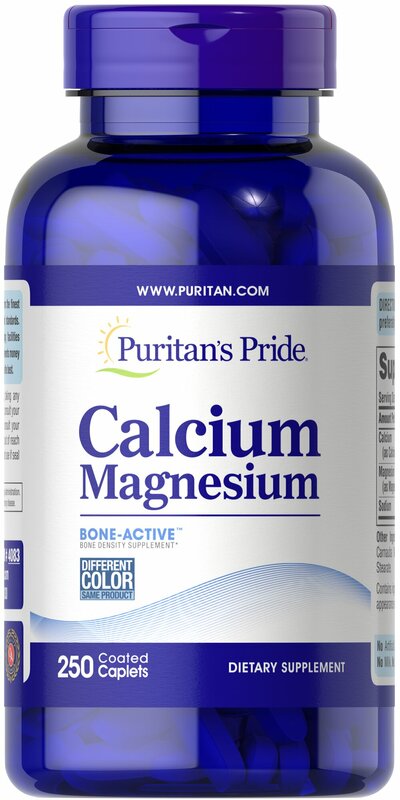 Puritan's Pride offers a high quality calcium/Magnesium supplement that delivers 500 mg Calcium and 250 mg Magnesium in a chelated form for optimal absorption. Adults can take one caplet daily with a meal. No Artificial Flavor or Sweetener, No Preservatives, No Sugar, No Milk, No Lactose, No Soy, No Gluten, No Wheat, No Yeast, No Fish, Sodium Free.